James McAvoy has revealed that he based one of the multiple personalities he portrays in his film Glass on Saoirse Ronan. In the M. Night Shyamalan film, McAvoy reprises his role as Kevin Wendell Crumb from 2016's Split, a character who has over 20 personalities. McAvoy starred alongside Ronan in the 2007 romantic war drama Atonement, the film for which she earned her first Oscar nomination. "All of them had one driving characteristic. That was key to getting into them physically," he said of getting into character on The Graham Norton Show. "I based one of the twins on a young Saoirse Ronan." 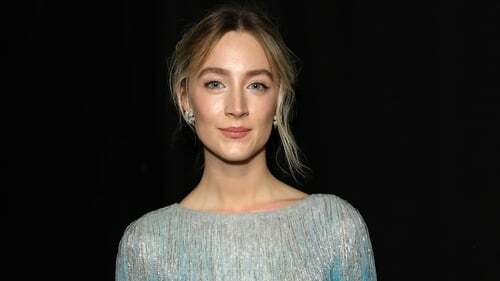 The now three-time Oscar nominee Ronan was in Dublin last week for a special screening of her new film Mary Queen of Scots, and she told RTÉ Entertainment that she has carried certain personality traits of Queen Mary into her life off-screen. "I think I have, actually. I could feel it when I was playing her that any tough decision that I had to make at that time, and anything after that as well, I just sort of went, 'Well, even if I have to upset a few people or let a few people down with this decision I know it's the right thing to do and I have to follow through with it'," she said. "There was something about having that commitment to a decision that she had and I honestly think from playing her, she's given that to me." Mary Queen of Scots opens in cinemas in Ireland on January 18.